But will it hold water? Because it doesn’t have wings. Or a motor. 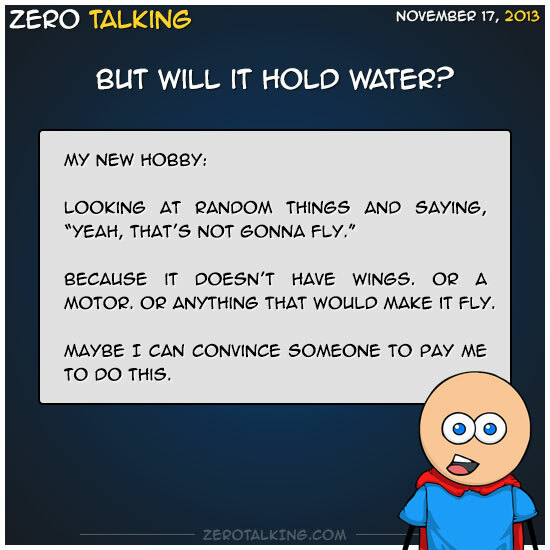 Or anything that would make it fly. Maybe I can convince someone to pay me to do this. Yeah, that’s not gonna fly.